Customer had two significantly low spots & six moderately low sports on Sulfuric Acid Alkylation Unit. Was sending UT technician to check weekly status of pitting. 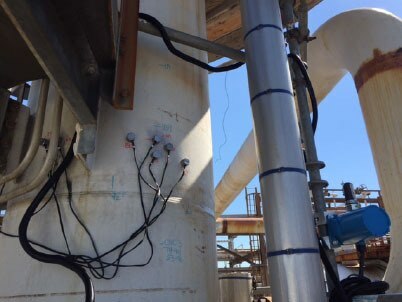 Installed sensors to monitor for pit growth and to ensure unit could last until planned outage 18 months away. Accelerated sulfuric acid (low PH) excursions & not enough caustic neutralization due to pump change out.